Here's something for fireworks fans. 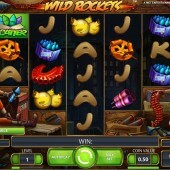 Wild Rockets, from leading slots developer, NetEnt, is an online video slot offering 720 ways to win. The game is played over five reels AND five rows, and paylines can go either left to right or right to left. You'll notice the honeycomb structure which gives the game its unique payline system. The layout has a similar look to some of the Multiway Xtra slots from IGT such as The Against All Odds version of Star Trek and the white tiger-themed Siberian Storm from the same developer. 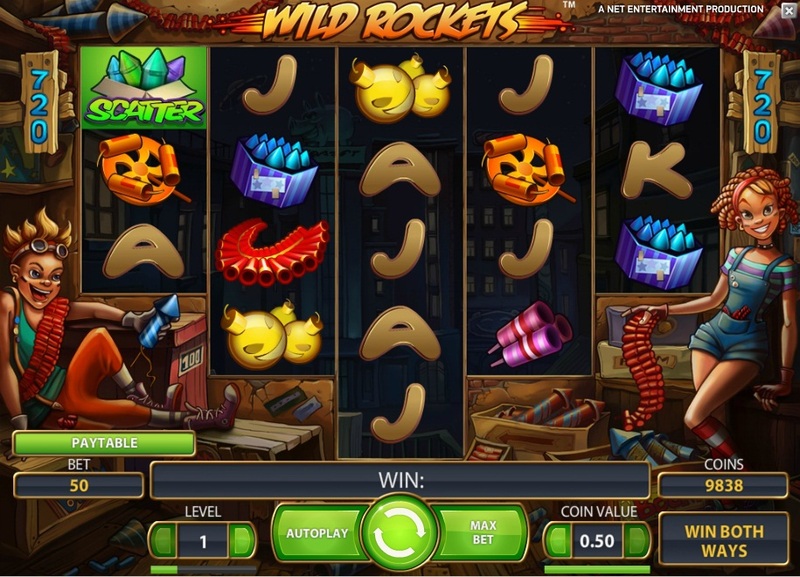 There is a clue in the name as to what you can expect from Wild Rockets, with the potential for stacked wilds to appear on the middle three reels. Whenever a Wild symbol lands, the rockets in the symbol will fire up or down, depending on which direction they are pointing. All symbols that they pass over will turn wild, which can create more winning lines and some big wins. The best rewards come when you get multiple stacked wild reels, which has a tendency to happen more in the free spins bonus. To trigger the bonus round you need to land 3 or more scatters anywhere in view. This will reward 10 free spins for 3 Scatters, 20 for 4 Scatters and 50 for 5 Scatters. During the free spins you will get a firework show everytime you hit a win, with the best saved for those very big wins. One thing I like about Wild Rockets is the lack of 3D characters in or around the screen, which can be a bit of a distraction in some of the other Net Ent video slots. I suppose I am a bit old-fashioned in that way, so some players may actually want to see more of that.